Olympus Australia specialises in the development and supply of high-quality testing, analysis and inspection solutions that are specially optimised for marine environments. We combine cutting-edge technologies with expert customer service and support, and are dedicated to providing customers with innovative products to address their offshore inspection needs. Olympus’ powerful remote visual inspection (RVI) systems are equipped with various advanced capabilities, combining simple and user-friendly designs with premium-quality functionality. Olympus’ IPLEX NX videoscope features a high-resolution screen that is four times brighter than conventional systems to deliver unprecedented image quality, which allows inspection targets to be properly illuminated even in the widest open spaces. This portable system also features an ergonomic 8.4in touchscreen monitor, multi-spot ranging capability and noise-reduction (NR) algorithm control to facilitate clearer and more precise inspections. We provide a range of fibrescope systems designed to aid the remote inspection of inaccessible areas, which offer exceptional image resolution that can be magnified without affecting clarity. All standard fibrescopes use tapered flex (TF) technology to allow for insertion into multiple-bend pipes, and feature a flexible four-way angulation configuration to further aid steering towards targets. Units can be optimised and customised for specific locations using interchangeable optical tip adapters. Additionally, we offer a number of standard, aeroengine and swing prism borescopes in various diameters, working lengths, viewing directions and angle settings depending on clients’ individual needs. Olympus has a comprehensive catalogue of ultrasonic, phased array (PA) and eddy current (EC) non-destructive testing and flaw detection units. Solutions accurately locate and highlight hidden cracks, faults and irregularities in a wide range of metals, plastics, as well as other materials. Our portable, rugged flaw detectors are equipped with several practical measurement features and application-specific software systems. The EPOCH 650 ultrasonic flaw detector features multiple reporting tools and an extensive data-filing system, as well as a versatile PerfectSquare pulser and a highly ergonomic design that allows the device to be used in nearly any inspection environment. Our PA detection systems such as the EPOCH 1000 Series and OmniScan SX offer rapid, precise and reliable cross-sectional images of internal structures. Leveraging multiple ultrasonic elements and time settings, these devices create scanning beams that can be steered and focussed by the user for detailed, multi-angle inspection procedures. Olympus also supplies advanced eddy current (EC) flaw detectors for the inspection of metallic structures and components, in addition to various NDT acquisition units, probes, transducers, pulser-receivers and turkey guided wave solutions, ensuring the company can address all customers’ flaw inspection requirements. We offer a portfolio of handheld, portable and benchtop X-ray fluorescence (XRF) and X-ray diffraction (XRD) analysis solutions for qualitative and quantitative material characterisation of metals and alloys, which can be used in applications such as identification, analysis, quality control and regulatory compliance. The damage-resistant Vanta analyser is our latest and most powerful handheld device, delivering fast and accurate alloy identification and element analysis in a robust and durable package that ensures low-cost ownership. Vanta systems feature intuitive user interfaces and Cloud technology, as well as optional Bluetooth and Wi-Fi to facilitate rapid real-time data sharing. Our GoldXpert is a compact benchtop unit that delivers precise purity and chemical analyses of metal compounds within seconds. Weighing only 10kg, the device can be easily transported to the required testing site and be equipped with optional batteries for on-the-road testing. Olympus’ BTX II Benchtop XRD is a cost-effective, small-footprint and high-performance diffraction system that can conduct rapid full phase identification of major, minor and trace components, as well as XRF scans of a wide variety of elements. This self-contained unit’s simple and innovative small-sample preparation process and sample chamber allow for the fast benchtop analysis processes with one-button operation, delivering a level of accuracy comparable with larger and more costly laboratory systems. Olympus’ industrial microscopes are versatile systems integrated with latest technologies for improved optical performance and sample contrast, which can be used for a diverse number of applications, ranging from routine inspections to in-depth analysis. Our digital, stereo and laser confocal microscopes combine digital camera components with purpose-designed software to provide user-friendly and flexible solutions for image acquisition, reporting and measurement, as well as particle and grain analyses. Our popular DXS110 digital microscope is a free-angle device that offers advanced image processing and 16x optical and 30x digital zoom capabilities, allowing clients to get closer to the sample than competing systems with optimised evenness of light intensity and a variety of configurable illumination methods. In addition, Olympus’ LEXT OLS4100 laser-scanning digital microscope facilitates fast image acquisition and high-resolution optical readings over wide sample areas, easily allowing surface feature measurements at 10 nanometre resolutions. This powerful system offers accuracy, repeatability and traceability, using non-contact processes to achieve micro-profile measurements at imaging slopes of up to 85°. Olympus provides various light, semiconductor and flat-panel display microscopes, digital cameras and imaging analysis software packages to assist in a wide number of specialist industrial inspection procedures. 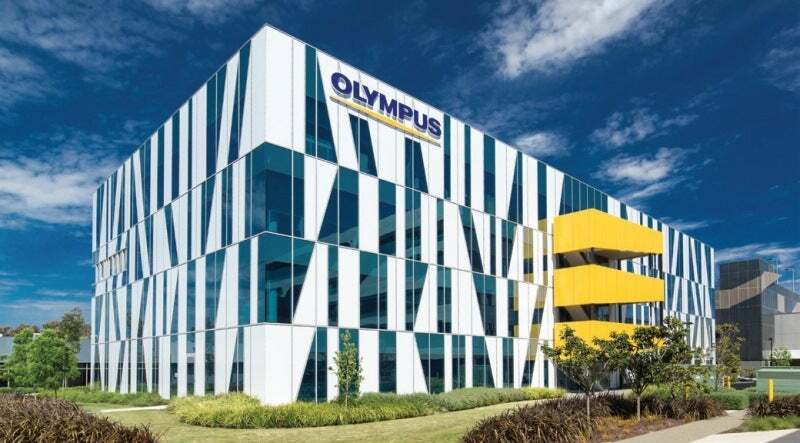 All Olympus systems are supported by our servicing facilities located in Melbourne, Perth and Auckland, with the majority of repairs conducted locally by experienced, factory-trained personnel. The company is committed to providing consistently reliable, hassle-free and user-friendly technical support and servicing. Our calibration, maintenance and troubleshooting processes ensure that clients’ Olympus solutions continue to operate at the highest possible level of performance year after year. Our transparent service allows customers to remain informed regarding progress, costs and projected turnaround times once products have been logged for servicing. Refinery site pipe networks may be at risk of experiencing sulphidation corrosion in situations when high-sulphur crude oil is high-temperature processed at temperatures exceeding 450°F. The effects of corrosion in pipelines and oil wells primarily take the form of an internal build-up of residue known as ‘scaling’, or ‘rusting’, which is a wearing away of the pipe or valve material itself.